Also, good news! This mod has been updated to 1.7.10 and includes a whole one new feature as the ones I had planned aren't ready yet. Glad to hear it! Anything you'd be willing to share about the 1.8 version or is it a secret? I'm pretty transparent with the development process as any changes I make can be seen on Github. Plans are currently: A new nether mob, more normal mobs, new tools, new armor, and a new ore. I'll likely still be releasing pre-releases during this time so people can play around with new features. Just a few more things I want to add then it'll be done! This is going to be one of the most content filled updates yet. They don't despawn due to them triggering structure gen when they despawn. You can try to turn down the spawn rate of my mobs. In the future I'll add a config option for despawning. I have plans for one more mod after this one before I stop releasing new mods for a while as it is already difficult to maintain this one. Thanks keep up the awesome work. Any suggestions though? The Magic Farm FTB mod pack does make some changes to hunger, not sure what version its on though. You could always take a crack at porting it yourself. A fair amount of these are completed or will not take much time so expect the new update in about a week or two. I'll have a pre-release out with the new structure gen code tomorrow. mate your profilepic is some creepypasta **** right there .-. Found it on the creepypasta wiki actually. Sorry its been so long without word from me. This mod is still very much alive, I've just been running out of time to develop it. I still do plan on supporting this mod. I love your mod. it adds a lot of great elements to my mod pack and pvp server. I really hope to keep it. But, currently, the occulus eye item is causeing werid issues. Testers and myself have found that WITHOUT even using the occulus.. (or acuquring it or anything.. without touching it) it STILL causeing mobs to random TP and get hit with lighting. it never seems to run out or drain..
it needs to maybe have a set amount of uses.. like after 10 times.. its wears out or something.currently it messing up the mod pack Ive been testing it in. on techinc.. "Don't Look Back" it plays well with many mods. but, the occulus eye thing is just buggy. is the pack if you want to see whats going on or causeing it. it seems to work fine on its on. but, when added with these mods it goes haywire. I made a new save.. didn't use anything from you mod.. just spawned in some swords and started hitting zombies. and it starting TP'ing and lighting strikeing every mod.. almost with every hit. wasn't very random.. it was almost every time. and that was without using the occulus on my player. I would recommend a way to make the occulus limited on how man uses it does before the effect is removed from the player. What version of the mod are you using? 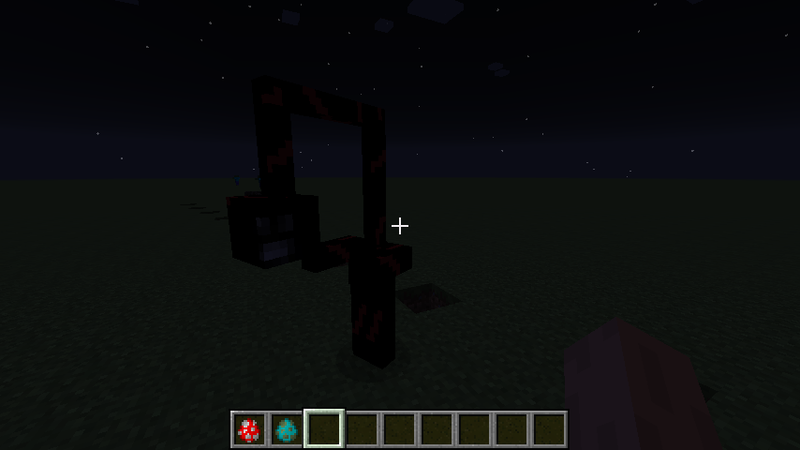 In the latest version of the mod, its powers can be toggled off with the 'P' key. As for it happening post removal that is very strange, as some of the data it writes to the player would still be there but it wouldn't do anything as my mod wouldn't be there to do anything with it. Sorry, I should have posted that info. does the 1.1 version allow you to turn it off? ill test that. I saw on the wiki page a few informations about being able to turn it off. why would they EVER want to turn it off ? >) which, personally,. I kinda like that idea. but my personal thoughts, is that it should be lmited to maybe? 10-20 hits.. then its powers are removed from the player? I did try the pre_alpha on my mod pack for a bit, but It kept spamming console with Leak errors. it may just be a conflict with another mod im using. either way, I really love the walkers and the crawlers. The blindess effect is a nice touch kinda reminds me of a slenderman attack. I love the new addition of the Block Mobs. adds more fear when mineing. Maybe another cool feature would be silverfish that can spawn randomly from dirt,stone,gravel in the world. and in veins or block creatures that behave a bit like silverfish. but in veins. you hit one.. all of the sudden the 10-20 blocks all around u start moving to attck you ! The Walls are ALIVE...RUN!!! that be epicly sweet. but ya.. im using version 1_1.jar.